This article was written for WIZO “Our Israel”. BDS. Three letters that are certain to send the blood pressure rising. 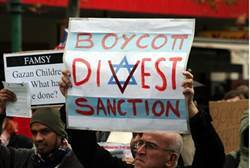 What is BDS and why have these three letters become such a contentious issue in the Jewish world? BDS stands for Boycotts, Divestments and Sanctions and is fast becoming the number one weapon in the assault on Israel’s legitimacy. It could be said that the official birthplace of the BDS movement was the South African city of Durban, during the 2001 UN Conference against Racism. It was there that accusations like “Israel is an Apartheid State” really gained trajectory. Why compare Israel to South Africa? During the Apartheid years, South Africa was deemed a pariah state by the international community and the aim of BDS campaigners is to draw a comparison between these two states. If Israel = Apartheid South Africa then it must be a pariah state and made to feel unwelcome in the family of nations. Israel’s legitimacy as a nation state must be questioned and determined to be racist and therefore needs to be dismantled just like the Apartheid regime in South Africa. The irony is that even during the darkest times in South Africa’s history, her right to exist as State were never questioned. Why is Israel singled out? Why BDS? Anti-Israelists aim to hurt Israel’s economy and shame decision makers into changing policy towards the Palestinians. Through this campaign, only Israel is painted as the uncompromising, bullying party and therefore should be subjected to harsh embargoes. Is this legitimate criticism or a more nefarious campaign? There is a difference between healthy criticism and singling out Israel for opprobrium at every given opportunity. Israel is a democracy and is certainly not always right or above criticism, however when Israel is singled out at the expense of other states that practice gross human rights violations, then something more sinister is involved. The singling out of the JEWISH state for constant approbation, the questioning of the JEWISH state’s right to exist is nothing more than the age old hatred of anti-Semitism, rearing its ugly head while it is politically incorrect to vilify Jews individually. Punish the collective, punish the state. What does the word Apartheid mean and does it exist in Israel? The definition of Apartheid can be described as the forced removals and laws of discrimination against non-white citizens of South Africa. In essence , a minority governed the majority and imposed racist laws that gave non-white citizens second class status and was a civil and human rights travesty. Is there racism in Israel? Yes, as there is in any other country in the world including the new democratic South Africa. Is it state legislated and can be considered Apartheid? The answer is NO. How is this campaign being implemented? 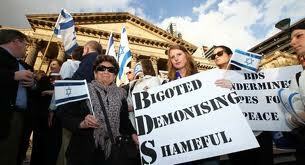 The BDS campaign has embarked on an attack that has several fronts. Academically, Culturally and economically. University campuses around the world have become hotbeds of tensions as supporters on both sides square up against each other. The global hate-fest known as Israel Apartheid Week is the BDS event du jour. Academics have propagated cutting ties with Israeli universities, the latest being Stephen Hawking whose only means of verbal communication is through the Israeli invented Intel chip. Ironically he has chosen to boycott President Peres’s annual Presidents Conference in solidarity with the Palestinians but Palestinian leadership will be attending. Music artists and companies have also opted to cancel bookings and some companies have given in to activist pressure. In a recent study conducted by the Jerusalem Centre of Public Affairs, musicians and bands had remarked that they had been threatened by activists and felt safer cancelling events. Who loses in a boycott? Those who promote policies of BDS will tell you that it is in the best interest of the Palestinian people that Israel suffer boycotts. But what about the thousands of Palestinians that are employed by Israeli companies like Ahava or Sodastream? They would lose their jobs and a lack of investment and employment in the territories will irrevocably damage the economy of the West Bank. It is in the best interest of both peoples that the Palestinians have a strong and sustainable economy and by discouraging discourse and trade, the BDS campaign breaks down vital communication between Israelis and Palestinians. Peace will be built from the ground up and not by cutting ties with each other. As the momentum on the BDS campaign grows, perhaps we should ask their activists just how much they want a peaceful solution to end the conflict. Their actions seem to speak louder than words. Listen to the reasons why Israel is so fabulous. 65 Reasons why Israel is so fabulous…. Happy 65th Birthday Israel and may we just say that you have never looked so fabulous! You are becoming more attractive as you age and this year as we celebrate a milestone year; let us look at some of the things that make you as special as you are. 65. Israeli “chutzpah” – there is nothing quite like it in the world. Plucky for your size, Ms Israel, you never take no for an answer. 64. Fantastic Israeli summer – yes it is hot but it brings Israelis out of their winter hibernation and the beaches are dotted with sun worshippers. And dogs. 63. 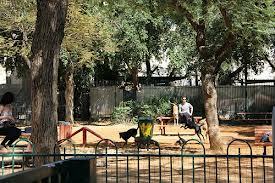 Israel is pet friendly – Tel Aviv has parks, a beach and even restaurants have a “Dogs Allowed” policy. Where else can Fluffy chill and drink water while his or her owners’ network and catch up on the latest news. 62. Coffee Shop Networking – some of Israel’s best business deals are done in her coffee shops. Israeli’s are very particular about their coffee and with Java like this; it is easy to see why some of Israel’s greatest deals are clinked over a cuppa coffee. 61. Bakeries to die for – forget the threats posed by Hamas and Hizbullah – the greatest threat to Israeli society are the calories provided by our fantastic and diverse bakeries. 60. Incredible diversity – over 82 different kinds of ethnic communities call Israel home. On any given day you can bump into several of them. It adds colour and life to our wonderful mosaic of people. 58. 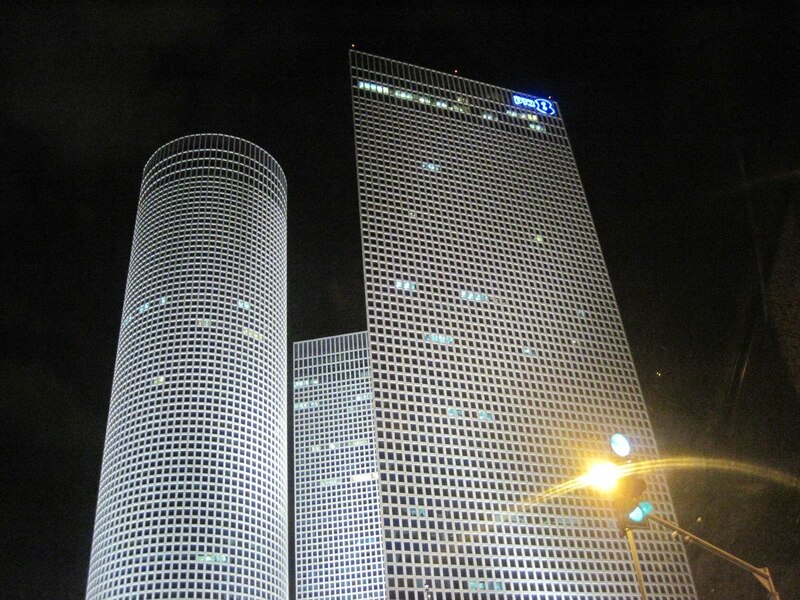 Where ancient meets modern – Where else can you walk in the same footprintsas King David, Jesus or the prophets and at the same time marvel at modern architectural buildings like the AzrieliTowers with their three distinct shapes in Tel Aviv? 57. The ingathering of exiles- Over the last 65 years, Israel has gathered in Jews living in exile from all over the world, doing her best to offer a sanctuary and safe haven. Her remarkable achievements in many fields have made Israel a sought after destination for Jews in addition to Zionist ideology. 56. Size does count – Israel is a tiny country, in fact one can barely see her on a map but the energy that is contained in this tiny space is not relative to her size, Israel has achieved disproportionately. The statistics are impressive! More academic papers published than any other country, more patents registered than any country, and many more. 55. A start up nation – Israel has definitely learnt that necessity is the mother of all invention. When you are under permanent threat, the best thing you can be is innovative. As a result of our army service we have learnt to be super inventive, we have absorbed so many cultures that have brought their own intellectual and creative strength and we are a people who thirst for knowledge. Don’t take my word for it – read the book! 54. A country filled with children – children are Israel’s national treasure. They are our greatest hope for our future and as a result are nurtured, adored and invested in. But is not just our children that matter – Israeli NGO Save a Child’s Heart has been bringing children from Africa, Iraq, the Palestinian Territories and other Arab countries, some who are hostile to Israel, to the country for life saving heart surgery. 53. Education Nation – Did you know that Israel is the second most educated nation in the world? I guess we really are the people of the book. 52. People of the Book – This is the land of the Bible and this holy book is studied,remembered and pored over. Since ancient times until today, the bible is revealing more and more of its hidden secrets. 51. Army of volunteers – There are so many incredible organisations for people to join up as volunteers. My choice is WIZO! So just do……something! 50. A healthy respect for animals – There is another community that is a huge part of Israeli society. Feral cats. These felines enjoy a purrrrrfectly relaxed life, patrolling the streets and keeping a careful eye out for vermin. They are the epitome of catitude! 49. Where everybody knows your name – and they are always glad you came -Israelis are a curious bunch. We love to know more about you and where you come from. Of course we will also poke into your personal business and offer unsolicited advice. Hey we are Mishpacha! Maybe you know someone we know in your area and then Jewish geography takes over. This really impedes gossip but we are always glad you came. 48. Unsolicited advice – Need legal or tax advice? How about medical or parenting advice? No? Doesn’t matter, we will give it to you anyway. Unsolicited advice is our way of showing we care. And demonstrating our fantastic ability to access useful information at any time. 47. Hidden gems – you can turn a street corner and disappear into an Aladdin’s cave,hidden restaurant or stumble upon an ancient archaeological relic. 46. An army for the people – The brave men and women who make up Israel’sDefence Forces. On land, sea and in the air, this army made up of all her citizens keeps a watchful eye over our country. They are the defenders of our freedom and our safety. We are always grateful for their presence. Despite fierce criticism from Israel’s detractors they live up to their impeccable Code of Ethics that many western armies are modeled on. 45. Seasonal eating – You can tell the seasons apart just by observing supermarket shelves. If it is summer, an abundance of exotic fruits abound, if it is spring, Oznei Haman (Hamentaschen or Haman’s Ears) signal that it is Purim and time for the weather to warm up. 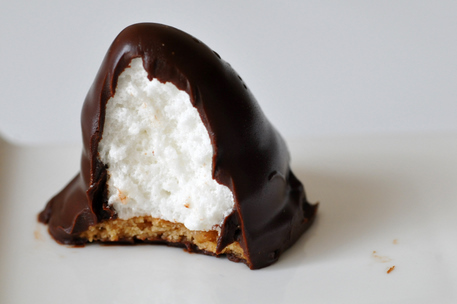 Fall/Autumn is heralded by Crembo, delicious mounds of chocolate covered goo and winter is the season for donuts or sufganiyot. As we count the nights of Chanukah, so we also count the mounting calories from these delicious oil enriched delicacies. 44. Eating as an art form – Food is central to Israeli culture. No matter what the situation is or the mood, everything can be solved over some Hummus. Or gefilte fish. Or anything from the kaleidoscope of cultures that form the Israeli palate. We do love our food. We like it fresh, simple and in abundance. B’teavon! 43. The National Sport – Forget footballs or basketball – arguing is the national sport and all Israelis could qualify as Olympic champions. It is a simple question of mathematics: Two Israelis = 4 opinions. No subject is off limits and one can have as many players as possible. Everybody, no matter what your skill level is can join in. 41. The Rainbow Nation – Israel proudly recognises the rights of her Gay citizens.Gay rights in Israel are considered to be the most progressive in the Middle East and Asia and the Gay Rights Parade in Tel Aviv is one of the most anticipated dates in the annual event calendar and enjoys an enormous amount of support. 40. Everyone is family – This means that everybody has a right to meddle in your business. But they also have a right to worry about you, fuss over you, and make sure you are eating/drinking enough. And make sure that you are wearing a sweater just in case THEY feel cold! 39. Don’t sweat the small stuff – Really is it worth worrying over insignificant issues when there are far greater things to worry about like our neighbours in the North and South, Iran and just how much weight we will gain over the Chagim? It is all small “Stuff”. I know we are Jewish and worrying like over feeding is in our genes but sometimes you just have to prioritise and not sweat it. Besides, the summer weather makes you work up enough of a shvitz. 38. In times of strife – We are all family right? This is so evident in times of strife. When we are under threat or in a state of security escalation or war, there is no more cohesive, tight knit and united nation than Israel. 37. And in time of remembrance – There are sacred days when we are united in grief and remembrance. Sirens wail their mournful cry as we remember our 6 million heroes and martyrs who perished in the Holocaust. And we remember those who paid the ultimate price in defence of our country in Israel’s wars and military campaigns as well as victims of terror attacks. 36. A reason to celebrate! 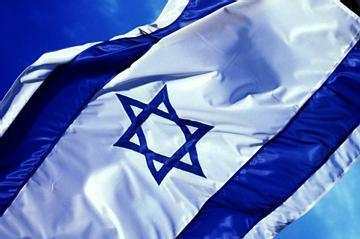 – Happy 65th Birthday Israel! We have a lot to celebrate! Achievements beyond our wildest dreams in so many areas and the triumph of our plucky little state against all those who hope for her failure. L’Chaim Israel – to life! 35. Punching above our weight – For a teeny country, Israel punches above her. weight. Nearly always the first to respond to any kind of trauma or natural disaster around the world, Israel doesn’t let size impede her in any way. Israel has even offered help to countries she has no diplomatic ties or hostile relations with. Now that packs a punch! 34. Green is the hot new colour – It is no secret that Israel is a leader in cutting edge technology. This also includes environmental or “green” technology. A leader is sewage recycling, water purification and concentrated efforts to encourage people to recycle and lessen their carbon footprints, makes environmental issues an important priority. 33. Hebrew speak Hebrew – Hebrew is an ancient language that has been revived with the birth of the new state. With the influx of Olim, some interesting hybrids that include hebrench, hebranish, heblish, hebrussian and hebritalian amongst others. 32. Democracy at its best – Elections in Israel bring with them much excitement. And a steady raise in blood pressure. But it is democracy at its best. All facets of Israeli society are represented, despite what some may say and results are almost always surprising. The 2013 elections put new party, Yesh Atid firmly on the map – surprising even them! Viva la democracy! 31. The “cottage” revolution – The humble tub of “cottage” is the little dairy product that could. An essential part of the Israeli diet, the rising cost of “cottage” inspired a revolution for social justice in the summer of 2011 and one could hardly pass a park without the ubiquitous protest tents. Viva la revolution! 30. A very Nobel people – We have already discussed that Israel punches above its weight but did you know that she has a disproportionate amount of Nobel laureates in fields that include literature, science, medicine and peace? Now that is worth raising a glass to! 29. When in doubt sing – Israelis love to sing. In the car, in the shower, in the post office and in the middle of the mall. Hey why not? 28. Watch us on TV – Some of your favourite TV shows are based on shows created in Israel The award winning “Homeland” and “In Treatment” are just two of Israel’s stellar small screen offerings. 27. No censorship (within reason) – Most radio stations around the world steer clearof dropping F bombs. In Israel you can enjoy your morning radio with a liberal smattering of profanity. The F word has little or no impact here. Just don’t swear in Hebrew – now THAT is disrespectful! 26. Museums – You can lose yourself in a myriad of different kinds of museums. From the historical to art, to our Zionist history and honouring our precious lost, Israel offers something that appeals to everyone no matter what your interest is. 25. 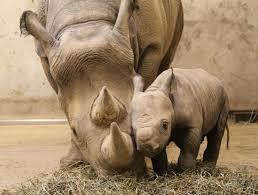 Protecting the endangered – Israel is home to no less than 25 special programmes aimed at protecting endangered wildlife. Here, rhinoceros who are hunted all over the world thrive in breeding programmes, endangered birds and other threatened species are cared for and under stress free conditions, happily multiply. 24. A nation filled with Jewish mothers – Everyone’s a Jewish mother. Don’t be surprise if a total stranger offers you something to drink in the blistering heat or something small (okay so we all suffer from Jewish woman’s gene to overfeed) to nibble on. 23. Living by the Jewish calendar – You can always tell which Chag, national holiday is coming up by what is on sale at the supermarket. If the shelves are lined with boxes of matzah, it must be Pesach, if pomegranates abound, Rosh Hashanah approaches. Is it just coincidental that most of it is food related? 22. Do you read me? – Israel has more books published per capita than any other country. And while we may be the people of the book, we are also the people of the book week. 21. Home to the three monotheistic religions – Judaism, Christianity and Islam were all born in this region. Where else in the world but Jerusalem can you pray (and slip a note)into the Wailing Wall while hearing the Imam call the Muslim faithful to prayer and the church bells peal all at the same time? 20. Freedom of religion – The freedom of ALL religions is protected in Israel While we may be the Jewish State and home to the three Abrahamic religions, we also protect the rights of Baha’i, Hindu, Buddhists and any other sacred religion that our citizens choose to observe. 19. A world in one country – Israel offers a world in one country. If you are hankering for the Alps, you can ski in the north, swim with the dolphins in the south and feel like you have toured several different countries thanks to the mix of cultures and personalities of our towns and cities. 18. An investment darling – Israel is attracting a fortune (literally!) of investment from major international brands such as Apple, Google, Microsoft and others. Not to forget earning the praises and investment from Warren Buffett. and others. 17. All the world loves an Oscar – Israel has had a presence in the Best Foreign Film Category at the Academy Awards ceremony nearly every year. And the Oscar goes to…. 16. Women’s rights – Women in Israel enjoy a much higher status than their counterparts in many other countries around the world. One of the first countries to have a female Prime Minister and with a strong representation of women in our new Knesset, Israel is demanding that the status of women continuously improves. 14. Defying the odds – With no clearly defined borders, constant threat of war and hostile neighbours, how is it that this tiny Oasis continues to defy the odds? Perhaps we are a miraculous country…. 13. Amazing national institutions – Before we had a formal government we had incredible organisations like the Jewish National Fund (KKL), Keren Hayesod, WIZO, the World Zionist Organisation and the Jewish Agency who prepared and nurtured the country in anticipation of the ingathering of her exiles. 12. Literary gifts to the world – Award winning authors Amos Oz and David Grossman are just some of our writers who enjoy international support. 11. Protecting our civilians – in times of strife, every citizen knows that the processes are in place to make sure we are protected. Whether it is bomb shelters or rocket proof centres, our safety is paramount. 10. One of the world’s natural wonders (Dead Sea) – Have a float or enjoy some pampering at one of the earth’s most spectacular wonders, the Dead Sea. It is enough to soothe away your stress. 9. Israeli NGO’s – From fighting Israel’s media war to helping animals and children. 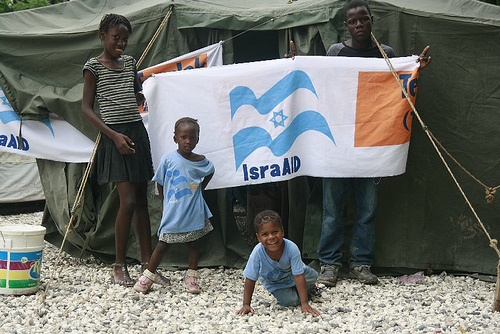 Israel is home to many NGO’s who are working hard to protect and defend our nation. Our very special WIZO works for an improved Israeli society. Now that is something to be proud of! 8. Support systems for Olim – What other countries makes sure that its new immigrants are well taken care of and have a soft landing? While we don’t promise you a rose garden, we can pad your arrival a bit just to help you. The processes are in place to advise you and help point you in the right direction. The rest is up to you. 7. The right to criticise – Israel faces a lot of criticism from the international media but the irony of it all is that nobody is more critical of the country than its citizens. The right to voice our approval or disapproval is one of the greatest benchmarks of a democracy and our democratic right to complain and criticise is fiercely defended. 6. Working with our neighbours – one of Israel’s best kept secrets it projects with our neighbours. While stories of mutual cooperation in this volatile region may not sell newspapers, they do in fact happen. We sow the Seeds of Peace and improve water supplies used by both people. Peace will be built through these initiatives. 5. Superb medical innovation – From teeny cameras that you can ingest to an external carapace that will enable paraplegics to walk, Israel is not only saving lives, we are helping people start new ones. 4. Exporting our know-how – So we weren’t blessed with a fortune of natural resources. Until recently with the founding of natural gas reserves, so what is our key export? Technical know how! In a sphere of different industries and arena, Israeli products are changing and shaping the world. 3. Diaspora community – Our wonderful communities around the world support us and while we know that a strong Diaspora = a strong Israel, we welcome you here with open arms. 2. Don’t worry – be Israeli – Really, don’t worry, everything will be okay. Kol yihye b’seder. That is the Israeli motto and over the years I have learned to not worry or question how things get done, they just do. 1. An absolute reverence for life -There is nothing more sacred and worth celebrating than life. Israelis were voted one of the happiest nations in the world and it is easy to see why. Let’s all raise a glass and toast to 65 spectacular years and many many more. L’Chaim! (Bedouin-style gathering) in Kfar Hanokdim, Arad; entrance to Arcadia, Jerusalem. Unique and innovative, Israeli cuisine draws from the culinary traditions of Jewish immigrants from 80+ countries, and spices them with Middle Eastern and Asian accents. Here’s just a sampling of the inventive venues and menus. If you’re a sushi lover, you’re not alone in Tel Aviv. With 1,000 sushi restaurants, the city has the world’s third highest sushi consumption rate per capita. One of the city’s most innovative sushi spots is Yakimono, where you can order such original dishes as Inari, a sweet tofu pocket filled with spicy raw fish: salmon/tuna/yellowtail. In the past, Tel Aviv sushi restaurants tended to employ Asian chefs with highly trained skills, but there are growing restrictions on the number of foreign workers allowed to work in the country. And so an innovative way has arisen to meet market demands for perfectly prepared sushi: the Israeli government has allocated funds to teach demobilized soldiers Asian cooking skills. At Yakimono, however, the award-winning sushi masters remain Japanese. In 1995, owner Shalom Maharovsky opened Mul Yam (Across the Sea) in what was then a largely neglected area of the city. Today it is one of Israel’s most trendy restaurants, recognized for its award-winning chefs who have studied the world over. Executive Chef Yoram Nitzan says he is “constantly looking for new and innovative ways to combine cutting edge cooking techniques with the freshest ingredients—the ingredients being the true star.” Israelis, he says, are open-minded about avant garde cuisines, and therefore happy to try out his ravioli made with squid ink or sea urchins. In Jaffa, a multicultural seaside suburb of Tel Aviv, one of the most popular eateries is renowned for innovative twists on Libyan cuisine, which fuses North African flavors peppered with Italian and Arabic influences. The restaurant’s specialty is shakshuka, a traditional North African dish consisting of eggs baked in a sauce of peppers, tomatoes, and chilies that Dr. Shakshuka has distinctively modified by adding mushrooms, eggplant, chicken, and/or merguez sausage. The small, quaint space is reminiscent of Aladdin’s cave; copper pots and pans intermingle with photographs of customers, including Israel’s glitterati and IDF warriors. Since Adam Ziv, a Jewish kibbutznik, and Alaa Sawitat, an Arab Muslim, opened Bouza (Arabic for ice cream) last July in northern Israel near the city of Nahariya, they’ve attracted a steady stream of customers who came out of curiosity and then returned for the innovative ice cream made from fresh ingredients grown by local farmers. The menu includes some uniquely Middle Eastern flavors— pomegranate, pine nuts, even hummus. Yes, hummus. Hey, this is Israel and hummus is a staple! As an added bonus, Ziv and Sawitat serve up conversation along with their scoops, believing that delicious ice cream can smooth the way to talking peace. Here in the ancient city of Safed, the birthplace of the Kabbalah movement, visitors from allover the world flock to Mr. Lachuch (also called Ronen at Azamra) for a taste of lachuch—thick, richly textured Yemenite-style pancakes made from semolina and white flour—which the chef/owner, whom everyone knows as Ronen, flavors with strips of fresh peppers, eggplants, zucchini, chilies, and secret spices from the old country. Ronen immigrated to Israel with his parents in 1949 during “Operation Magic Carpet,” when the majority of Yemenite Jews were airlifted to the newly established Jewish state, and later started the kosher restaurant as a homage to his heritage. Now the quintessentially Yemeni-looking man, sporting a bearded smile that meets dark, twinkling eyes, is instantly recognizable as a fixture in Safed, dispensing Jewish wisdom along withlachuch. Not much is generally known about the customs and beliefs of the Druze people, except that they are fiercely loyal to their host countries. Here, in the village of Usafiya in the beautiful, mountainous Carmel region, visitors can catch a glimpse of their culture through the sharing of food. A Druze guide meets arriving visitors and leads them on the “El Carmel” culinary tour. As you walk along thealleys of the village, passing the prayer house, the deserted church, and the ancient olive press, you’ll hear stories about Druze beliefs and customs. The tour ends in a Druze home, where you’ll converse with family members around the taboon (traditional oven) and relax in the madpa (guest room) while tasting authentic Druze food prepared by village women. Be sure to try the knafeh (also known as kunafeh), the Middle Eastern answer to cheesecake, combining goat milk cheese, shredded philopastry soaked in sweet syrup, and rose water. After immigrating to Israel from Ethiopia, Chef Elem Akuba was inspired to “lift the lid off of Ethiopian fare,” introducing the citizens of her new nation to such specialties as wat, a spicy meat stew served on injera (a traditional Ethiopian flatbread made with fermented teff flour). Dining here, you’ll enjoy a feast fit for the Queen of Sheba. Israel also offers the adventurous traveler an opportunity to partake in a hafla, a Bedouin-style gathering. At Kfar Hanokdim in the Negev Desert town of Arad guests can enjoy spiced Bedouin tea and Turkish coffee while relaxing on soft, colorful sofas in a carpeted goat’s hair tent. Tribal elders regale visitors with tales of their tea/coffee ceremony, including how every cup of tea or coffee tells a story. The first cup is the welcoming cup; the second is the cup of fun. Traditional Bedouin dinner fare—lamb garnished with parsley, skewered tender chicken, and homemade all-kosher kebabs—is placed atop a giant homemade pita bread that serves both as a platter and utensils (cutlery is available upon request). Seasoned Bedouin rice, stuffed vegetables, and sweet corn round out the offerings. Here a traveler can truly dine like a chic sheikh! “Mediterranean food is smiling food,” says Ezra Kedem, executive chef and owner of this high-end French-Mediterranean eatery hailed by Frommer’s as “the finest restaurant in Jerusalem.” He believes that “the fresh flavors of our sun-grown produce make Israel the world’s next kitchen to explore. We combine our wonderful produce in ways that give a modern twist to traditional foods.” Israelis, he adds, “are open to culinary innovations; they’re well traveled and have adventurous palates.” For example, after he pioneered eggplant carpaccio—eggplant with tahini and spices—it became such a hit, it is now served in other fine restaurants. The culinary innovations one finds throughout Israel say a lot about the society itself—culturally diverse, passionate, spicy, inventive, and fearless. Rolene Marks, a frequent commentator on Israel radio, is part of Media Team Israel, an advocacy body that fights for balanced coverage of Israel.